UNH – The stock is down 13% so far this month, on track for its biggest one-month decline since February 2009 when it fell 30%. Apr 17, 2019 | By Berkeley Lovelace Jr.
“We continue to see the chances that ‘Medicare for All’ becomes a reality as slim, but recognize that while the conversation remains in the spotlight payors (among other subsectors) will likely remain under pressure,” he added. 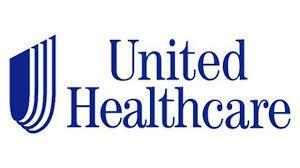 UnitedHealth Group Inc. shares were trading at $214.61 per share on Wednesday afternoon, down $6.35 (-2.87%). Year-to-date, UNH has declined -13.52%, versus a 16.41% rise in the benchmark S&P 500 index during the same period. UNH currently has a StockNews.com POWR Rating of C (Neutral), and is ranked #3 of 10 stocks in the Medical – Health Insurance category. '); } $(tr.join('')).appendTo($('table#news-stream tbody')).slideDown("slow"); }); } symbol_get_snippets('UNH'); }); Page generated in 1.0595 seconds.